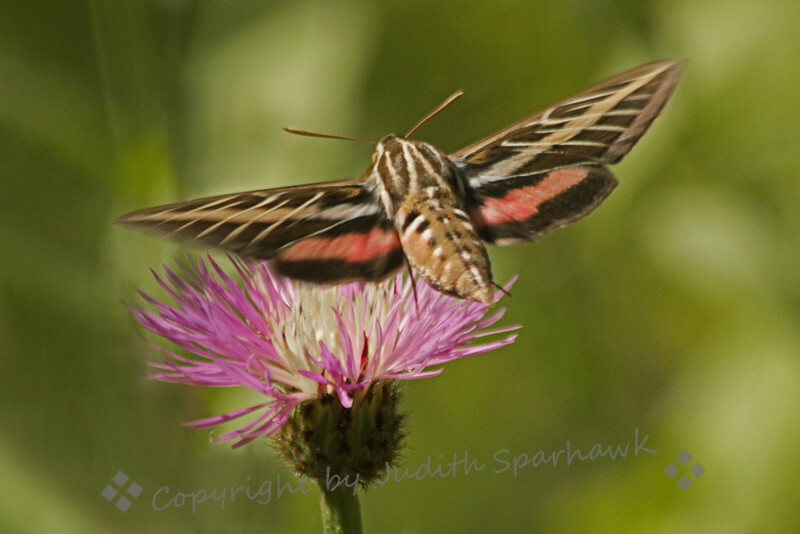 White Line Sphynx Moth ~ These moths were feeding on these pink flowers, as were several butterflies. This moth remains in constant motion, with the wings fluttering so fast they appear to be just a blur. I was glad to capture the wings in stop-action, to appreciate the lovely colors and markings. It was photographed in the Huachuca Mountains in Southeast Arizona.